The aim is to consolidate a joint vision in terms of scientific and technological matters between the main scientific institutions in the continent. The conclusions are going to be presented at the Global Research Council 2017 in Ottawa. 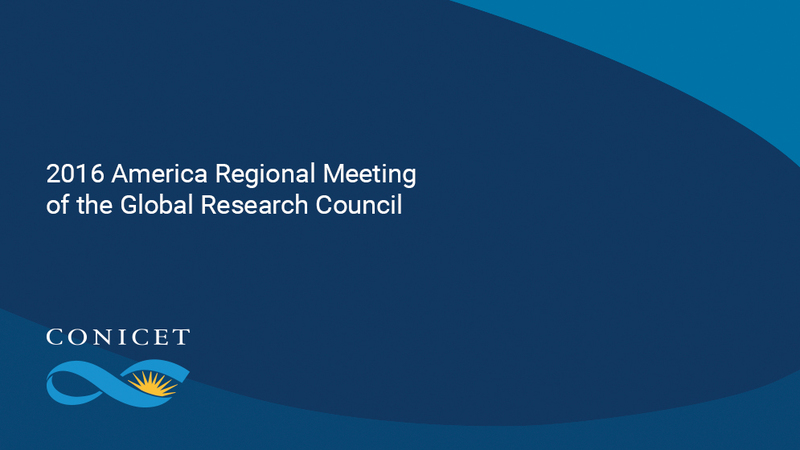 On October 25th and 26th, the National Scientific and Technical Research Council (CONICET) is going to be the host institution of the America Regional Meeting, which is going to be the preparation for the Annual Global Research Meeting (GRC) 2017 in Ottawa, Canada. In this opportunity, CONICET is going to receive representatives of the organizations that are members of GRC in the Americas to consolidate a regional vision of the subjects that are going to be debated next year in the global meeting: the development of capabilities and connections between financial institutions around the world and the dynamic interaction between basic research and innovation. The annual meeting of the Global Research Council, which is going to be held on May 29th and 31st in Ottawa, is going to be organized by the Natural Sciences and Engineering Research Council of Canada (NSERC) and the Consejo Nacional de Ciencia, Tecnología e Innovación Tecnológica (CONCYTEC) of Perú. The main objectives of the meeting are: to strengthen the capability of diverse organizations to develop policies and scientific and technological systems; to promote the collaboration and long term connection between countries, regions and continents; and to work on the importance of basic research with economic and social impact.